Enjoy unobstructed and protected panoramic views of the lakefront, skyline, Lincoln Park and Navy Pier from your home at 1550 N Lake Shore. Building has 24/7 door staff, exercise room, parking, storage and a sun deck. 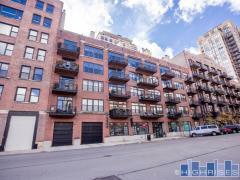 Have any comments or questions about 1550 N Lake Shore? Ask your question and/or share your thoughts about this Building.